Makerspaces | UVA Entrepreneurship, U.Va. Are you looking to make something? 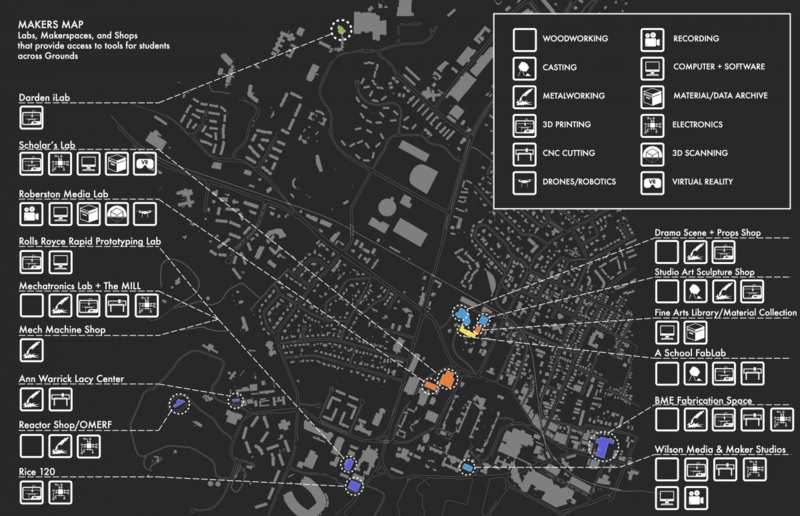 The MakerGrounds map shows you where to find every makerspace at UVA, and the website has a detailed listing of the equipment you can find in each of these facilities. Just click on the image below to be taken to the MakerGrounds map and website.